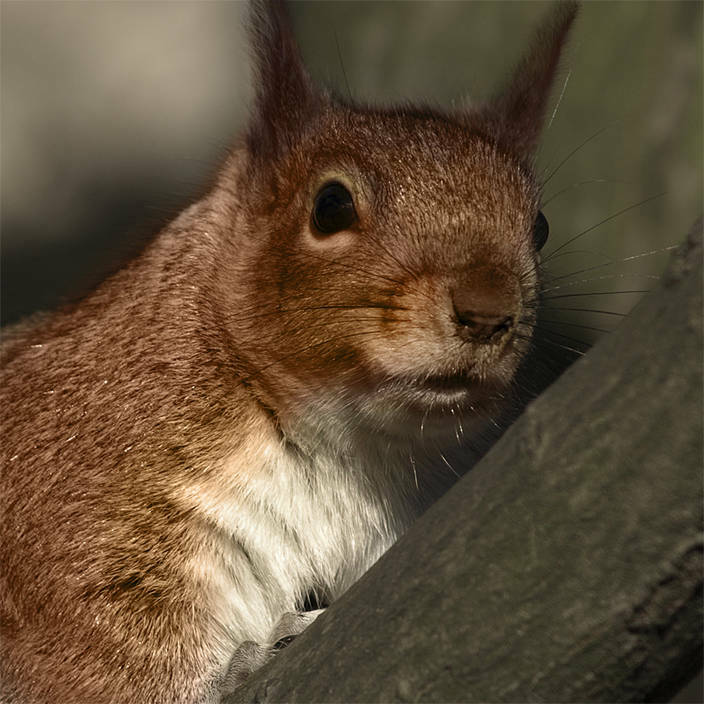 I have never been lucky enough to see a Red Squirrel in the UK. The closest I could get was to disguise one of our common grey squirrels. I used liquify to change the shape of the face and lengthen the ears. 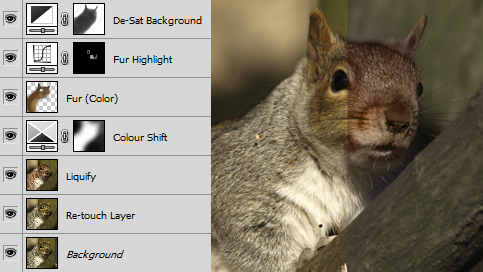 A new layer with a blend mode set to color is used to change the fur to a woody brown hue while keeping the texture. If you want to see the real thing – play this video clip. You will see that the ears especially are quite different so just changing the colour will not fool anyone! I’ve fluffed the tufts for you. Cosmetic surgery for rodents – I like it!